The works of the late Georges Perec are as difficult as they are sundry. Portrait of a Man was written several years before Perec’s first published novel, Things, a book which also has the distinction of being one of its author’s most accessible works. Yet Portrait of a Man already displays the agitated, avant-garde impulse that would characterise much of Perec’s literary output. Indeed, even David Bellos, in his introduction to this edition of his own translation, calls the book ‘hard to follow’. The story isn’t complicated, but Perec’s treatment of it is, as if even in his early 20s the young literary mischief-maker couldn’t help but thwart the expectations of a readership that, at that point, was still purely notional. 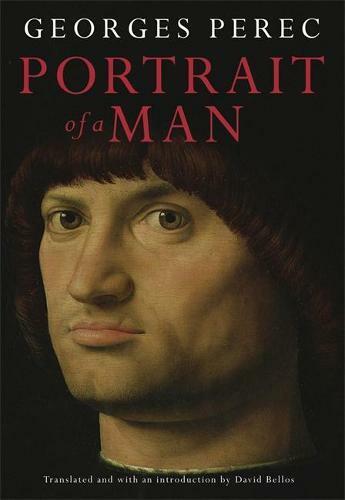 Portrait of a Man centres on art forger Gaspard Winckler, a gifted craftsman who, after a string of lucrative years counterfeiting coins, jewellery and paintings, accepts a commission to forge a minor ‘lost’ masterpiece by a second-tier Renaissance painter. He has his choice of artist provided it is someone sufficiently renowned to attract a handsome price without arousing suspicion. Winckler seals his own fate by giving in to his frustrated ego: rather than mimic a known work, he boldly decides to conceive a wholly new piece that will be accepted and acclaimed as a singular masterwork by a known great. Told at first in a stream-of-consciousness outpouring that then slips between narrative viewpoints to heady, vexing effect, Portrait of a Man gives way to a second half which unfolds entirely in speech and recapitulates events that have already been covered, ultimately adding up to a wild consideration of the nature of art as intellectual theft. It’s a dizzying read, subtly sophisticated in its philosophies, and sure to appeal to readers who are happy to work for their literature. Gerard Elson works as a bookseller at Readings St Kilda.